The STLS Digital Catalog is the catalog for digital library materials in the form of e-books, e-audio books, streaming videos and e-music titles (aka e-albums) for all member libraries of the Southern Tier Library System and their patrons. The Southern Tier Library System is comprised of 48 public libraries and reading centers in five New York State Counties including: Allegany, Chemung, Steuben, Schuyler and Yates. The titles purchased for the STLS Digital Catalog are purchased by STLS member libraries and reading centers and are available for all patrons of all libraries in the Southern Tier Library System to check out. You can check out items from the Digital Catalog to a PC, smartphone or tablet. If you have a smartphone or tablet look for the OverDrive Media Console app in your app store and then checkout digital content through the app. E-Books can be checked out to PCs and almost all tablets and smartphones including Apple, Android and Windows smartphones and tablets. Downloadable audio books can be downloaded to Windows & Mac computers and most mobile Internet connecting devices, including Apple, Android and Windows tablets and smartphones. 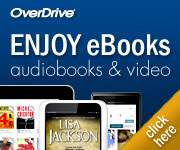 1) You must have a library card to check out items from the STLS Digital Catalog *2) OverDrive is the name of the software/platform vendor that sells e-books to the Southern Tier Library System for the STLS Digital Catalog. 2. You must download the Adobe Digital Editions software for PC or Mac to your laptop or desktop before you can read library e-books on your PC or Mac. 3. You can stream free library videos to your PC or Mac without having to first download any software! As previously mentioned you simply go to the library’s website found at SSCLIBRARY.ORG and then click on the STLS Digital Catalog link to get into the Digital Catalog where you’ll be able to see all the streaming videos in the catalog. If you have questions about how to access digital formats, including how to download e-books and other digital items to your smartphone or tablet please let us know!